Successfully Added DJI Phantom 4 Pro V2.0 Drone - 4K, 60FPS, 30 m Sensor Range, 4dB Noise Reduction, 30 Min Flight Time, 7KM Transmission Range to your Shopping Cart. The new DJI Phantom 4 Pro V2.0 features an OcuSync HD transmission system, which supports automatic dual-frequency band switching and connects to DJI Goggles wirelessly. It has a 1-inch 20-Megapixel sensor capable of shooting 4K, 60fps video and Burst Mode stills at 14fps. Plus, its FlightAutonomy system includes dual rear vision sensors and infrared sensing systems for a total of 5 directions of obstacle sensing and 4directions of obstacle avoidance. The onboard camera has been redesigned to use a 1-inch 20-megapixel CMOS sensor. A custom engineered lens make up of 8 elements is arranged in 7 groups, it is the first DJI camera to use a mechanical shutter, elimination rolling shutter distortion which can occur when taking images of fast-moving subjects or when flying at high speed. In effect, it is as powerful as many traditional ground cameras. More powerful video processing supports H.264 4K videos at 60fps or H.265 4K at 30fps, both with a 100Mbps bitrate. An=vanced sensors and processors ensure everything is captured with more image detail and the image data needed for advanced post-production. FlightAutonomy is expanded with an additional set of high-resolution stereo vision sensors placed at the rear in addition to the pair placed at the front as well as infrared sensing systems placed on the left and right sides. This network creates a total of 5-direction of obstacle sensing and 4-direction of obstacle avoidance, protecting the DJI Phantom 4 Pro V2.0 from more obstacles and giving filmmakers the confidence to capture more complex images. Although the drone is capable of reaching 7KMs in distance, you won’t have to worry about losing it out of sight. Thanks to its FPV you’ll be able to instantly follow your drone via the built-in 4K camera. Additionally, it features a ‘’return to home’’ feature. When used, this feature will automatically return your drone to its controller. Therefore you can be assured that you’ll never lose track of your beloved Quad-Copter. 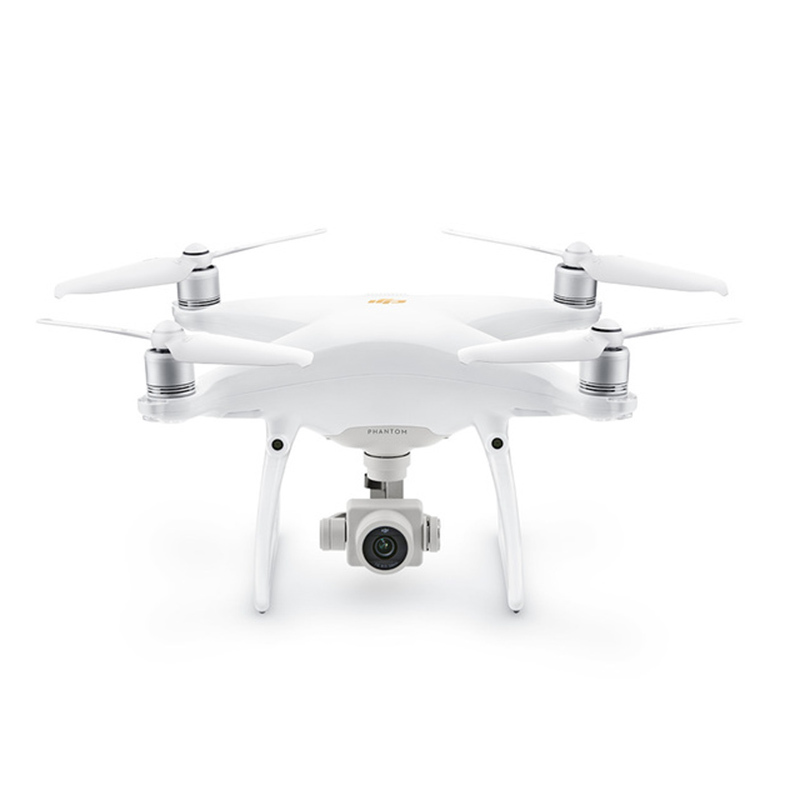 DJI Phantom 4 Pro V2.0 is the first DJI aircraft to use an infrared sensing system. When in beginner mode and tripod mode, these sensors have a horizontal field of view of 70 degrees and a vertical field of view 20 degree, providing a wide view of the scene to the sides of drone with max range of 7m to be able to sense larger areas and measure the distance between the aircraft, identifying the closest objects accurately while avoiding interference, providing more reliable sensing and protection..